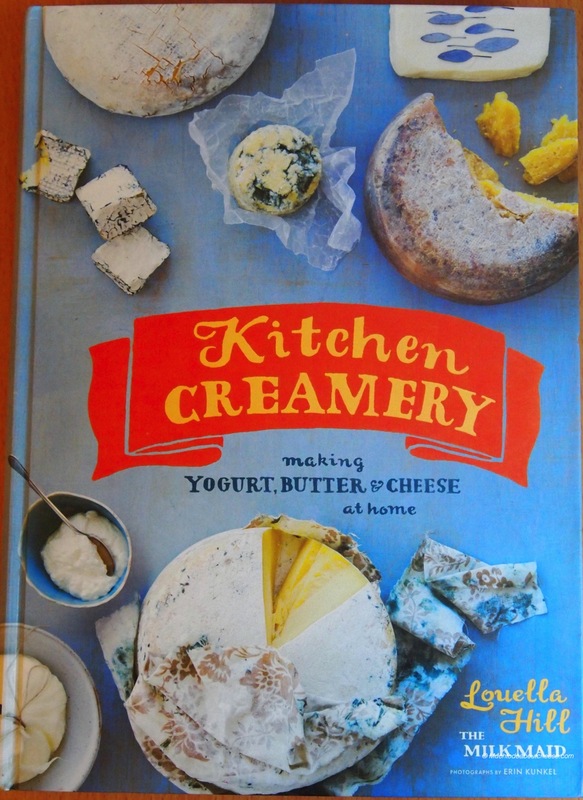 If there is a cheesemaking book in print odds are I have read it; either in hard copy or eBook. If I like it I will buy it and add it to my collection. If it is really good then I will let you know about it. So please forgive my tardiness in passing on the amazingness that is Kitchen Creamery by Louella Hill aka The San Francisco Milk Maid. This book is not only informative and easy to follow; but it is visually stunning with both pictures and hand drawn images by the author. 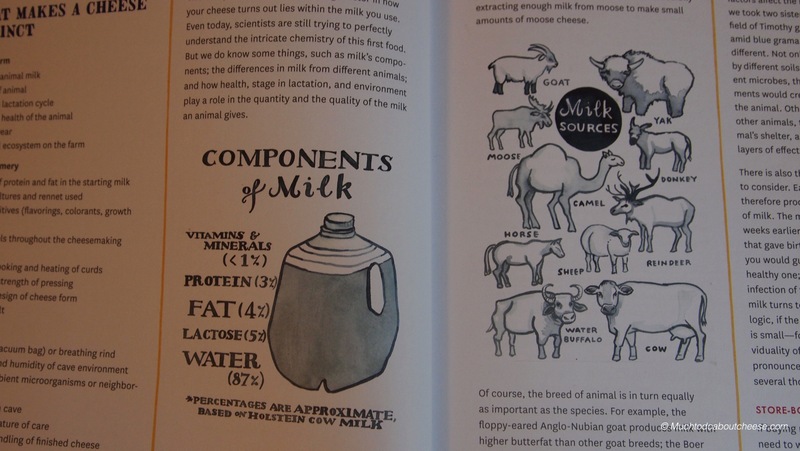 Hand drawn images from the author sets this book apart from other cheesemaking books. I have read some cheesemaking books that have been visually appealing but the information that is held within has been less than helpful. This book is not the case. I have to admit her recipe for “Quick Mozzarella” is better and more reliable than mine with great pictures to go along with it. I have had to the chance to make a few of the cheeses in this book and the recipes are truly geared towards the home cheesemaker and not a large batch scaled down. Her years of experience as a professional and home cheesemaker, show in this amazing book. You can tell her passion for cheese just in the phrasing of her words. 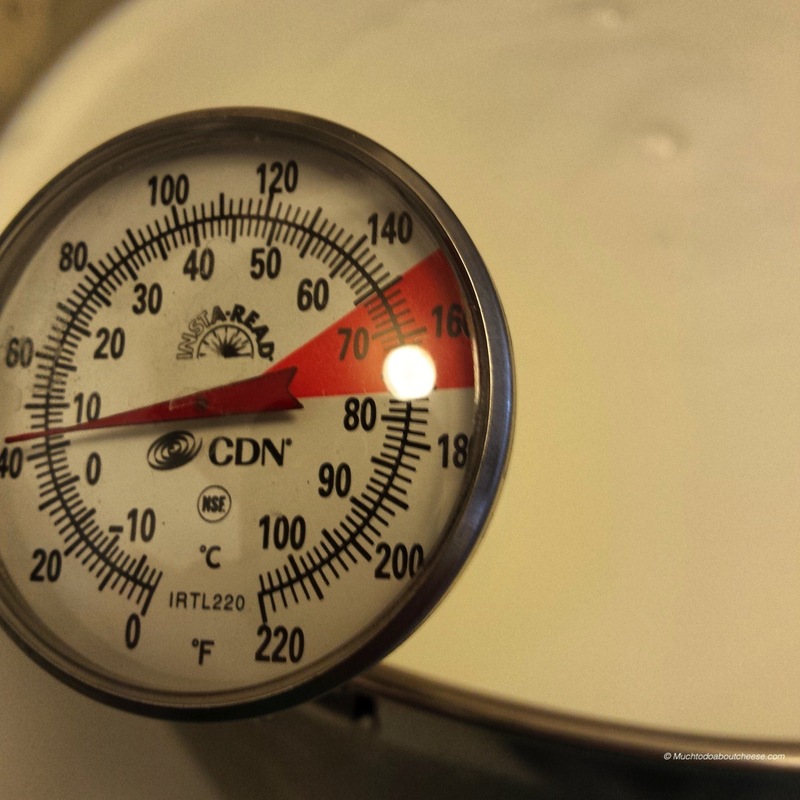 For our League of YEG Home Cheese Makers meeting in October we have a washed curd challenge. 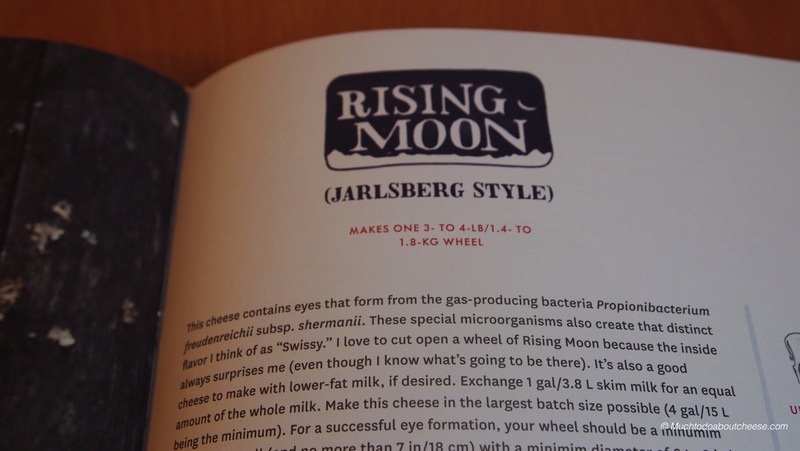 I have Josef, a Colby and I wanted to try one from this book, so I chose “Rising Moon” or the Jarlsberg Style Cheese. I love that she has renamed the recipes for some cheeses to something unique and personal. So with that in mind I fired up the vat and started to make cheese. It was a good excuse to tryout my new thermometer that clips to the side of the pot. I did make one change to the cheese as I used Kefir as the starter for this one, I did not have the culture suggested in the recipe. It worked well and the curd set was great. I could show you the process, but to be honest I was too busy to take pictures. 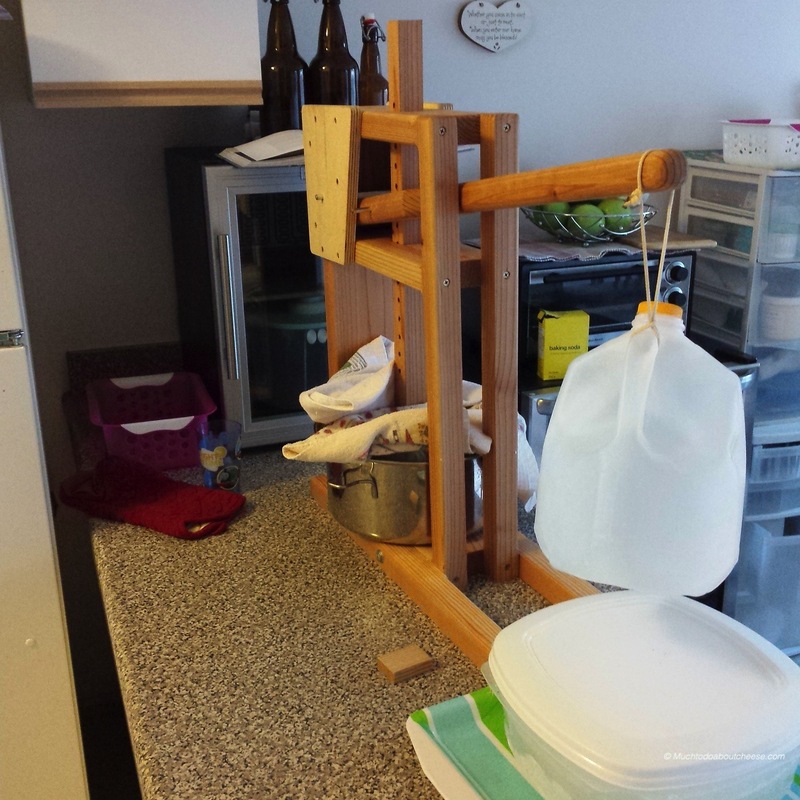 After several hours and washing the cheese it was time to get it into the press. I was surprised to see that I did not have to use as much weight as other recipes. 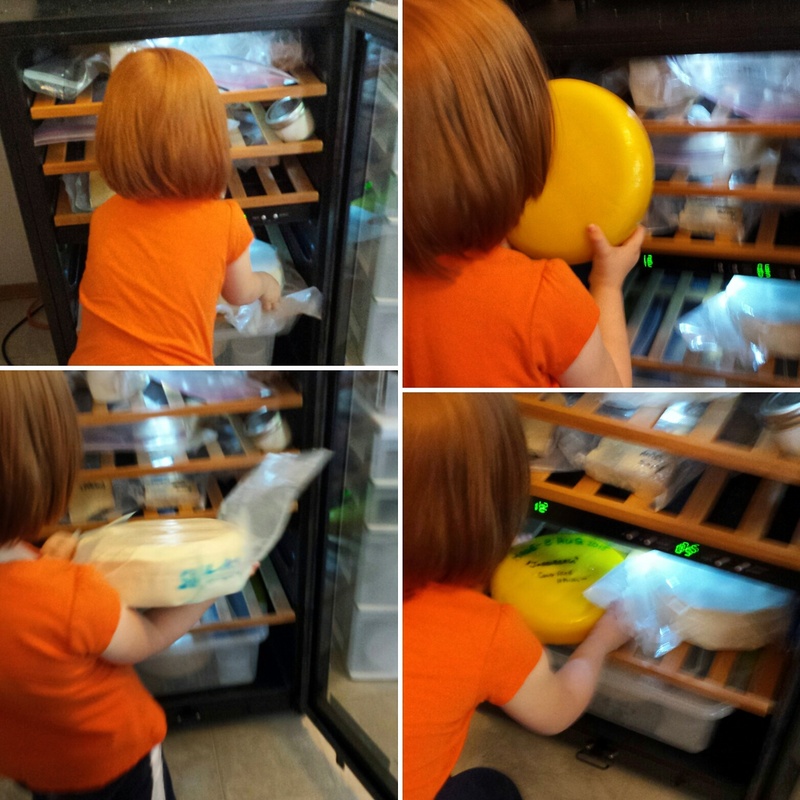 My Little Cheese Scout trying to earn here Affinage Badge. Now several weeks later we have entered the warm phase of the aging cycle. I have placed the cheese in a ripening box and it is sitting in may kitchen just waiting to wake up the Proprionic bacteria and letting them do their thing to puff up the cheese. 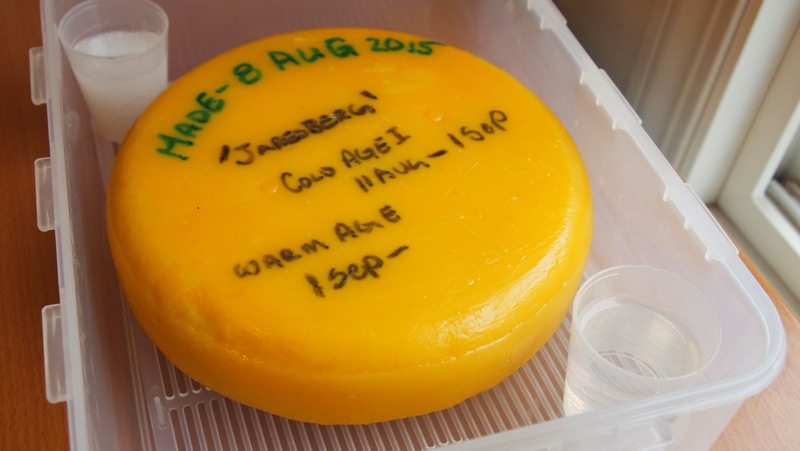 The Jarlsberg in a ripening box. I have used my food safe markers to label the cheese and mark the milestones. The cheese will sit in the covered box at 95% RH for the next 3 weeks and then 4 more months in cool aging. Hopefully it will be ready by December. I can’t say enough about the book and this recipe in particular. Take the time to read it and you won’t be disappointed. I’ve been following you by email for some time & must admit that I have learned something each time I read your post. The photos in your most recent posting reminded me I wanted to ask your recommendations as to equipment. Right now I have four items I want to obtain: a reliable cheese fridge for aging, a ripening box, a cheese press, & a clip-on thermometer (I like the large dial). Of the various tools I’ve seen, the ones you chose appeal to me the most. If you don’t mind, I’d appreciate you sharing the specifics of each (name. model, capacity, etc.) & where it can be purchased (physical store or internet source). I’m located in central Texas. Thanks. Thanks for the recommendation! I will add Louella’s book to my wish/gift list! It looks amazing!! I really need to expand/push forward my (goat milk) cheesemaking experience!! You are an inspiration!